• Peel and cube sweet potato(es). • Transfer to lightly greased 9x13 pan. • Bake at 425 for 35 to 45 minutes, turning once. Note: I sometimes add garlic and onions to this. When I do, I pour 1/2 to 1 cup water over the whole thing before cooking. This is actually one of my favorite meals to make, because it's one of the rare meals that all of my kids like - it's so nice to have a healthy dinner with no complaints from anyone. Also, I just really love to be able to make my own veggie burgers for super cheap out of ingredients that I always have on hand. That being said, I've been reluctant to post it, because I never follow the recipe exactly, and mine turn out a little different every time. 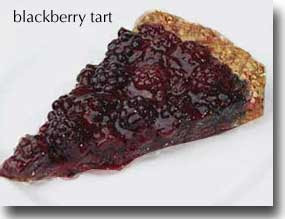 This is the original recipe, which I found here at all recipes.com. I'll include the changes I have made in parenthesis. They say it makes only 4 patties. 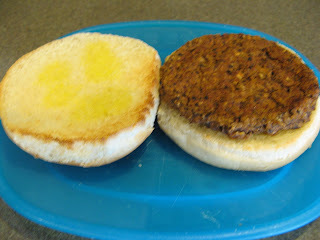 I say it makes around 10, depending on the size of your patties - I like mine pretty thin (so they cook all the way through). * This is the part that I vary the most on. I rarely have bread crumbs on hand - sometimes I'll toast a piece of bread and throw that in, but I actually prefer using oats and/or rice to thicken the mixture. When I have leftover spanish rice, I use that plus some oats for some extra flavor. ** Although these are mainly made from black beans, feel free to add extra veggies. Last time I made these I experimented and grated a handful of baby carrots in the food processor before I started with the onion, garlic, etc., and they turned out great. 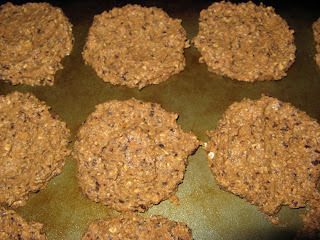 Add bread crumbs (and oats or rice) until the mixture is sticky and holds together. Whenever we have any leftoever patties, I love to put them in the fridge and eat them for lunch on a toasted sandwich the next day. They also freeze really well, and are easy to reheat by just popping them in the toaster. Experiment with different amounts of lemon vs. sweetener--everyone likes their lemonade different! Blend very well--works best in a blender to get the stevia to blend in. I also make a 'slushy' by replacing some of the water with ice cubes. This recipe is adapted from one I used to make all the time when I was a teenager. They taste about the same as the original recipe--they do take a little longer to 'set'. I figure it's worth it! Gwyneth is actually the pro at making these--hers turn out way better than mine, so if you have questions, talk to her about them! Bring to a boil, stirring occasionally. Let it boil for 1 minute (use a timer), stirring constantly. Remove from heat and pour over the oat mixture. Scoop onto greased cookie sheet, and let cool. Cookies should 'set' fairly quickly. • Slice unpeeled potatoes into thin slices or wedges, lengthwise. • Transfer to lightly greased cookie sheet. • Bake at 425 for 45 minutes to 1 hour, turning once. 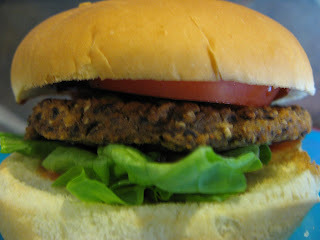 Here's an alternative to the lentil sloppy joes. This one uses potatoes and carrots as the base. I adapted it from Aunt Elna's recipe. Mike has said it's in his top 5. • In a large pan, cook onion and celery in water until tender. • Add remaining ingredients, except tomato paste. • Cover and cook on medium heat, stirring often, until desired texture. • Serve on whole wheat buns or bread. Notes: We like our bread toasted. I like grilled mushrooms, avocados, and lettuce on mine. Mike puts pickles on his. The baked fries are great with these. This recipe makes a lot. I sometimes freeze what we don't use the first night. • Plug in waffle iron and spray lightly with non-stick cooking spray. • In a small bowl, combine whole wheat flour, corn meal, sugar, baking powder and salt. Set mixture aside. • In another bowl, whisk the egg replacer and ½ c. water together until frothy. Add yogurt (or applesauce), vanilla extract, milk, and corn. Mix well. • Slowly incorporate the flour mixture into the egg mixture. • Spoon batter onto hot waffle iron and cook until golden and crispy, 3-5 minutes. • To serve, cut waffles in half. Divide warm waffles among 4 serving plates. • Dollop with salsa, yogurt, and cilantro. * The original recipe called for melted butter, but I decided to use applesauce instead. When I looked in my fridge for the applesauce, I noticed I had vanilla soy yogurt and thought that might be tasty instead. I ended up using the yogurt and it was really good, but I’m sure applesauce would work just as well. I also serve this over corn waffles and it's delicious! This is the recipe for the topping that Bekah put on her pancakes. It's delicious with waffles, too. • Combine all ingredients except pecans in a heavy-bottomed saucepan. • Bring to a boil over medium-high heat, stirring constantly. Reduce heat and simmer the mixture, stirring it very often. Simmer until the mixture has become very thick, about 15 minutes. • Stir the ground pecans in and continue to cook for another 2-3 minutes. This mixture can be canned: ladle the hot pumpkin butter into clean, hot, half-pint canning jars, leaving ¼ inch of headspace. Seal the jars with new 2-piece canning lids, according to manufacturer’s instructions. Process the jars for 10 minutes in a boiling water bath. Cool, label, and store for up to a year in a cool cupboard. Instead of canning, you can also freeze this for long-term storage. You can buy miso in tubs, usually near the tofu and vegetarian cheeses. Or you can get miso powder, which is sometimes cheaper, in the Asian food section. "Miso is a traditional Japanese food produced by fermenting rice, barley, and/or soybeans with salt and the fungus kojikin, the most typical miso being made with soy. The result is a thick paste used for sauces and spreads, pickling vegetables or meats, and mixing with dashi soup stock to serve as miso soup called Misoshiru, a Japanese culinary staple. High in protein and rich in vitamins and minerals, miso played an important nutritional role in feudal Japan. Miso is still very widely used in Japan, both in traditional and modern cooking, and has been gaining world-wide interest. Miso is typically salty, but its flavor and aroma depend on various factors in the ingredients and fermentation process. Different varieties of miso have been described as salty, sweet, earthy, fruity, and savory, and there is an extremely wide variety of miso available." • Combine above ingredients in large pot and simmer until vegetables are tender. • Blend above ingredients with 3 ladles (2 to 3 cups) of the cooked vegetables and water. 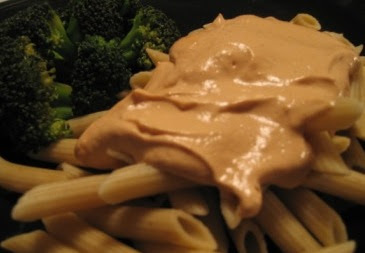 • Stir blended cream sauce into soup. 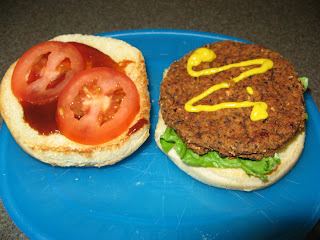 *I haven't been able to find truly vegan butter buds, so I use 1/4 c. nutritional yeast instead. Cook first group of ingredients on low pressure for 1 minute, quick release. Add cream mixture. Laura adapted this recipe from one she found on the back of a rice milk box. They are the closest I've found to "real" chocolate chip cookies. • Drop onto lightly greased (pam spray works great) cookie sheet. • Bake at 350 for 10-12 minutes, or until edges are golden brown. • Makes 2 dozen medium cookies. *The cookies in the picture do not have nuts; I didn't have any on hand when I made them. They were still delicious. Eliza adapted this recipe from one she found; she then figured out quantities to make a bulk dry mix to freeze. I love having healthy pancake mix on hand! • To make pancakes, mix one cup pancake mix with one cup soy/rice milk (or water for a fatfree variety that are still really good). These pancakes have pumpkin pecan butter on them. Or try this fruit syrup. *There is a boring, cheesy intro with elevator music but it only lasts about a minute, I promise! We sometimes use pitas for this and sometimes use flatbread wraps. Both are available at most grocery stores. *We use the falafel mix made by Fantastic. It's available at most health food stores. I follow the broiling directions, but instead of brushing them with oil I just spray a little cooking spray over the pan. Blend oatmeal in food processor. Add other ingredients and blend until all mixed together. Press into 8x8 pan (or roll into balls). Chill and then cut into little squares. *You can buy pitted dates at most health food stores. I think Costco also sells unsweetened dates. I store mine in the fridge because it's humid here. You can add more peanut butter (I've done it and they are good!) but that makes them higher in fat, or you can lower the fat by using less peanut butter.